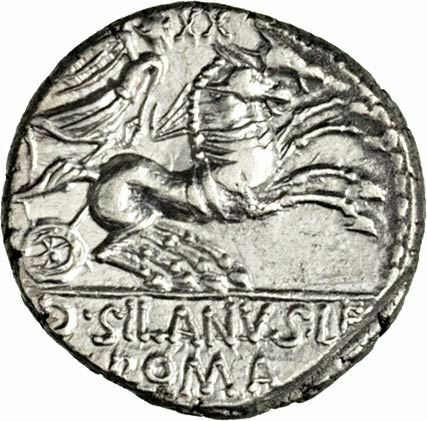 D. Junius L.f. Silanus was one of the moneyers for the year 91 BC. He is not otherwise known. Gens Junia was one of the most celebrated families in Rome. The gens may originally have been patrician. The family was already prominent in the last days of the Roman monarchy.